WE are an ordinary Catholic family. Our son wants to marry a born-again Christian. Although our future daughter-in-law was baptized Catholic and is a very nice girl, her parents have embraced a fundamentalist sect and her father is even a pastor in their Christian community. 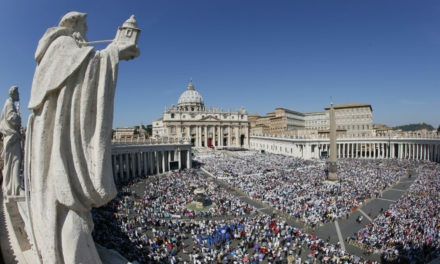 Although her parents do not object to her marrying a Catholic, they vehemently object to a Catholic wedding ceremony. We don’t want a “born-again wedding rite” either. A relative has suggested just having a civil marriage. What are the acceptable options for us really? This query brings us to two topics: 1) the so-called mixed marriages and 2) dispensation from canonical form. We recall that one of the impediments to a Catholic marriage is disparity of cult—i.e., a person who is baptized in the Catholic Church or has been received into it and has not left it by means of a formal act cannot validly contract canonical marriage with another person who is non-baptized (ref. c.1086, §1). Note that in this case, without the due dispensation, such a marriage would be invalid ab initio. Furthermore, the dispensation is not to be given unless the conditions mentioned in cc.1125 and 1126 are fulfilled (ref. c.1186, §2). The canons referred to for granting a dispensation—cc.1125 and 1126—precisely deal with the conditions for the granting of permission to celebrate a mixed marriage. A mixed marriage is that which is contracted between two baptized persons, one of whom was baptized in the Catholic Church or received into it after baptism and has not left it by a formal act, and the other of whom is a member of a church or ecclesial community which is not in full communion with the Catholic Church. 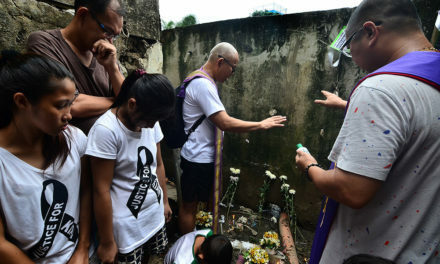 In other words, this involves a Catholic and a Christian with a valid baptism but not in the Catholic Church—e.g., Orthodox Churches, many Protestants, Anglicans, Episcopalians and Presbyterians; but not members of the Iglesia ni Kristo (who are not strictly speaking Christians), Jehovah’s Witnesses and Mormons. In principle, such a mixed marriage is valid, but it is forbidden without the express permission of the competent authority (c.1124)—i.e., the Local Ordinary (c.1125)—who will only grant it if there is a just and reasonable cause and with the necessary cautions as we shall see below. In other words, without the due permission, the mixed marriage would be valid but illicit—i.e., the Catholics actively and with full deliberation involved in its celebration (the sacred minister and perhaps even the spouse) would be committing a sin. The validity of the permission for a mixed marriage—and not the mixed marriage itself, which would in principle be valid—depends only on the existence of a just and reasonable cause. No a priori rules are given as to what this cause might be, the whole matter being left to the judgment of the Local Ordinary. 3° both parties are to be instructed on the essential ends and properties of marriage, which are not to be excluded by either party. Furthermore, c.1126 states: The conference of bishops is to establish the way in which these declarations and promises, which are always required, are to be made, what proof of them there should be in the external forum and how they are to be brought to the attention of the non-Catholic party. 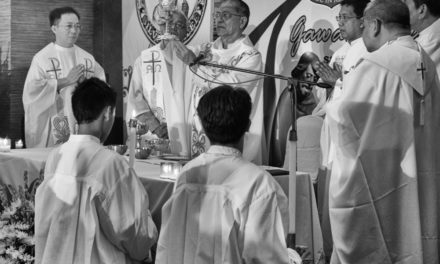 In this regard, the CBCP has established that the cautions or declarations are to be made in writing by the Catholic party and preferably also by the non-Catholic party, according to the form issued by the CBCP, and attested to by the priest who makes the pre-nuptial interview or by his delegate. From the foregoing, it is clear what the mind of the Church is as regards mixed marriages and—to a lesser extent—the impediment of disparity of cult. In principle they are considered as possible dangers to the faith of the Catholic party and a foreseeable difficulty to the Catholic upbringing of future children; thus they are discouraged. 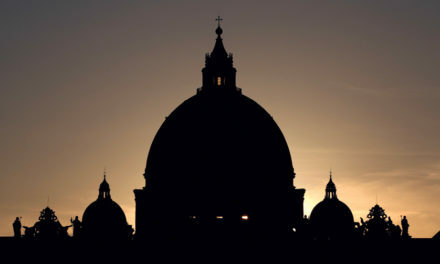 But if such a danger and difficulty could be obviated—at least as an intention on the part of the Catholic party, which is known and accepted by the non-Catholic party—and there is justifiable cause, then the marriage can be allowed. Granted that permission for a mixed-marriage has been secured, c.1127, §1 stipulates that the canonical form—i.e., the expression of consent of the contracting parties in the presence of a qualified witness (bishop or parish priest, or a priest or deacon delegated by either of them) and two other witnesses—is to be observed in mixed marriages. However, §2 of the same canon states: If serious difficulties pose an obstacle to the observance of the canonical form, the Local Ordinary of the Catholic party has the right to dispense from the form in individual cases, but after consulting the Ordinary of the place where the marriage is to be celebrated and with due regard, for the validity, for some public form of celebration; the conference of bishops is to issue norms by which such a dispensation may be granted in an orderly manner. d) Serious economic damage to the party. 2. Whenever the dispensation of the canonical form is necessary, the Local Ordinary of the Catholic party has the right to dispense from it in individual cases, having, however, consulted the Ordinary of the place of the celebration of marriage. For validity some public form of celebration is required. 3. Once a mixed marriage is celebrated, it shall be registered in the book of marriages, in the usual manner (…). Likewise, the minister of the non-Catholic spouse shall be informed regarding the contracted marriage by the priest who solemnized the wedding or in whose territory the wedding was celebrated. The religious ceremony acceptable to the non-Catholic (but Christian) party and/or his/her relatives. A religious ceremony acceptable to both parties. A non-religious ceremony—e.g., a civil ceremony before a civil authority. In all these cases—we should add—the essential properties and ends of marriage must not be excluded. 1st: They need permission from their Local Ordinary for the mixed-marriage to take place at all. 2nd: Should the Local Ordinary grant the permission, they might do well to reconsider their absolute objection to a “born-again” wedding ceremony and try to secure a dispensation from canonical form as well. Should they be granted that, then they just might opt for a “born-again” wedding ceremony, realizing that such a wedding would bring about a canonical marriage for their son just as well. 3rd: If they really cannot accept a “born-again” Christian wedding ceremony, they might opt for a civil wedding ceremony, again keeping in mind that in this case it would constitute a canonical (Church) wedding, with full canonical effects, and which—given the identity between marriage and sacrament for the baptized—would also be a sacrament for their Catholic son and his baptized Catholic (but arguably turned “born-again”) bride.